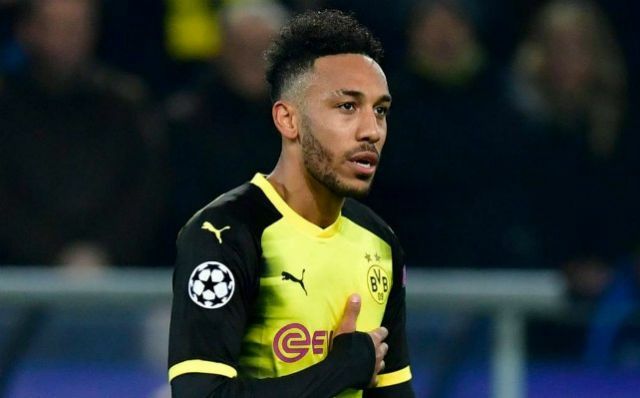 Pierre-Emerick Aubameyang has posted a cryptic-looking message to Instagram amid speculation that he’s closer to a £57million transfer to Arsenal. The latest from Sport Bild is that the Gunners are prepared to throw everything at the deal and that talks could conclude over his £57m move to the Emirates Stadium by the end of the week. However, the process is taking some time and it’s no secret that the saga has unsettled the rest of the Dortmund squad, as admitted by team-mate Andre Schurrle in a recent interview. ‘It’s been a big issue in the team,’ the Germany international was recently quoted in the Metro. Aubameyang seems to be suggesting something about media speculation with his latest upload to Instagram, as he posted a photo of himself celebrating a goal for Dortmund with the caption: ‘Hate me or love me’ followed by a series of emojis. These emojis show flexed muscles, newspapers and some rather frazzled faces, suggesting confusion and frustration at all that’s being said and written about him. The Gabon international has been an important player for Dortmund and boasts a superb scoring record in the Bundesliga, finishing as the league’s top scorer last season. With Arsenal losing Alexis Sanchez to Manchester United this January, Aubameyang would be an ideal replacement up front.